Not only the mums, but there are also other fall flowers for containers that you can grow for a great show of colors in autumn! Colorful mums define the fall. They’re one of the most popular flowers in the world and available in so many colors. 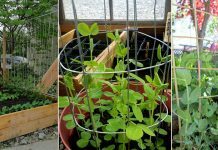 Growing them in containers is also super easy, and they grow in almost every climate. Both the perennial and annual mums are available. 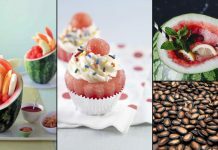 Learn more about growing mums here! Goldenrod blooms in late summer to fall. 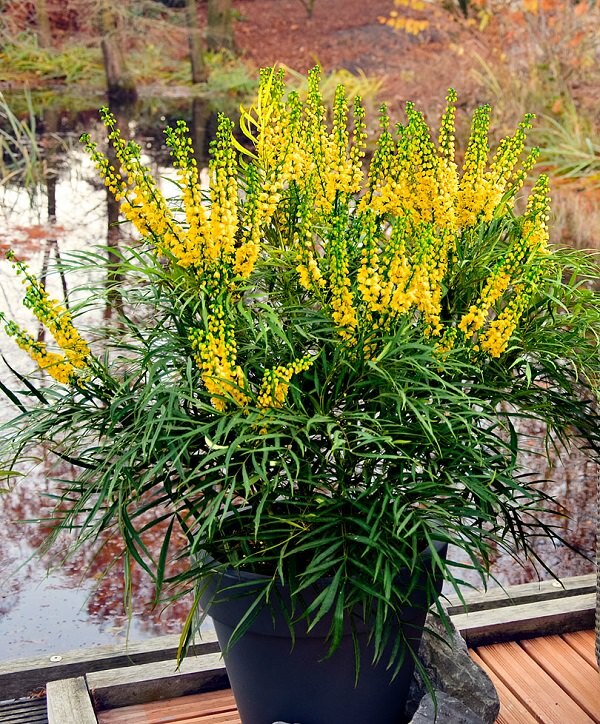 This cheery plant can be grown easily in containers and goes along well with ferns and ornamental grasses and other fall flowers. A gorgeous, late-blooming succulent, stonecrop is a tough little cookie that will bowl you over with its tolerance to extremes. It can last through frosts, full sun and strong winds with the ease of an iron shield! However, hot temperatures, humidity, and moderate moisture are deemed as the perfect weather condition for this perennial. 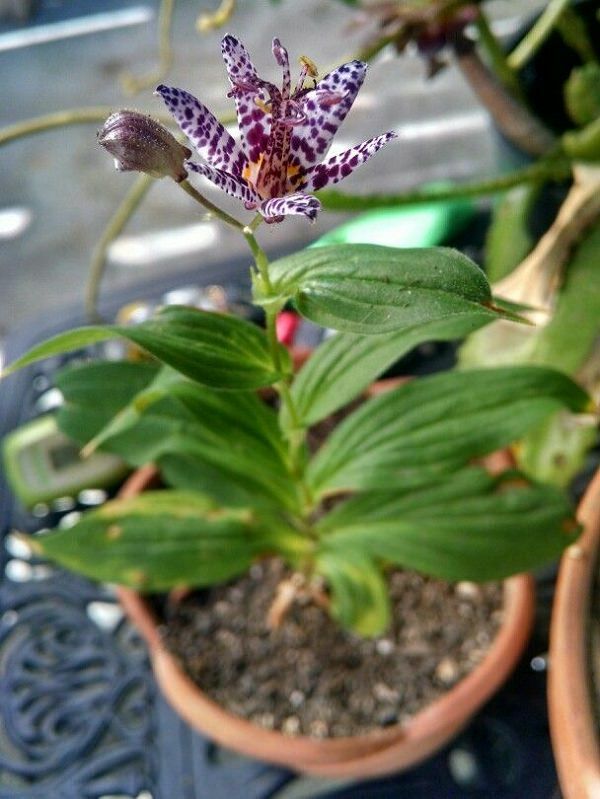 The orchid-like flowers of toad lilies blossoms at the time when most plants have finished blooming, from late summer to the end of the fall. 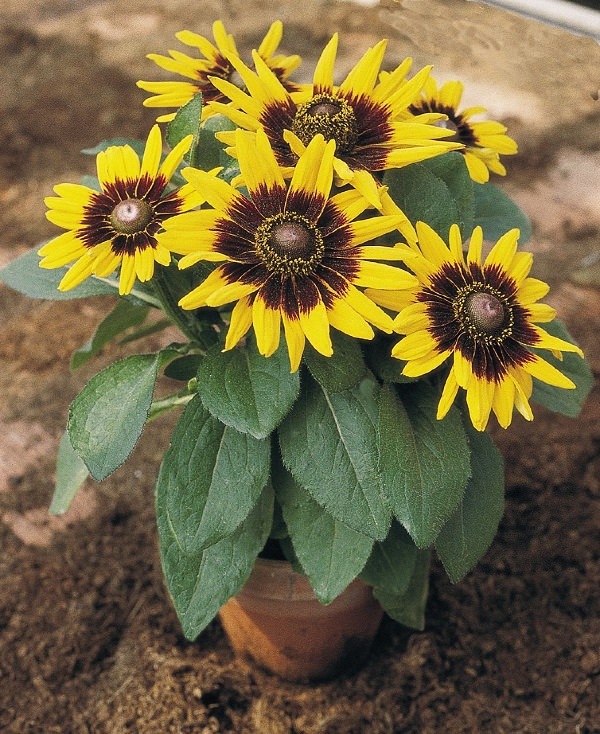 This easy-to-care perennial has a soft corner for partial shade and moist but well-drained soil. A close cousin of Daisy, the Helenium features cheerful blooms in sunset-colors at the end of summer season. Easy maintenance and minimum requirements make it an apt choice for the lazy or forgetful gardeners. Many of the popular cultivars are hybrids! Choose a medium-sized container and besides keeping it in a full day direct sunlight and well-drained, nutrient-rich soil, don’t forget to deadhead to prolong the blooming period. 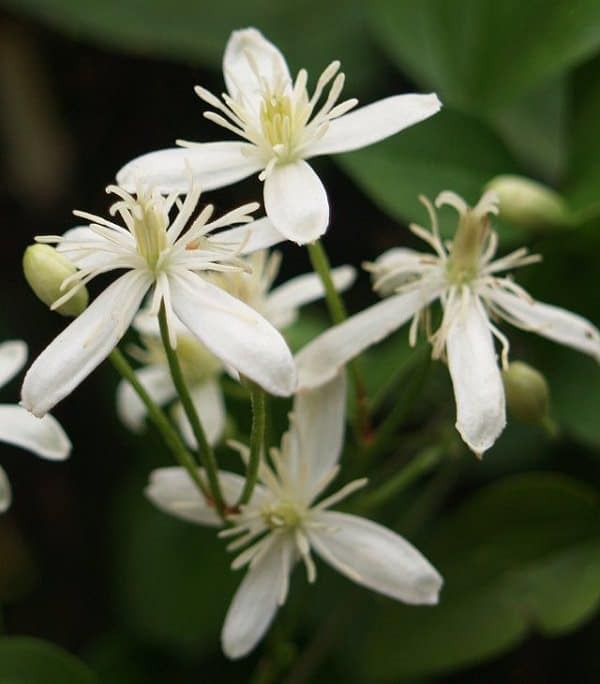 Dainty white flowers of sweet autumn clematis start to open from late summer until late fall and even up to winters in warm climates, spreading intensely sweet scent into the air. Grow this vine in a medium to a large sized container and provide support through the trellis. 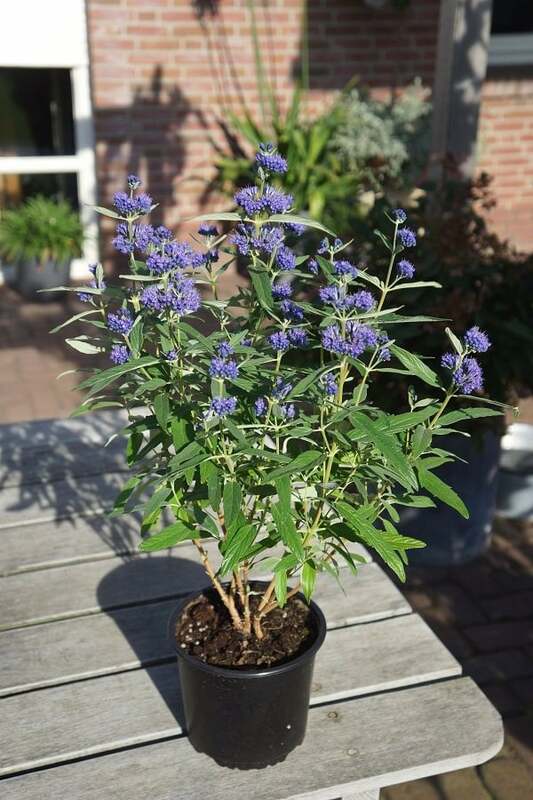 Caryopteris is known for its deep blue flowers and greyish-green leaves with tiny silver veins. Its aromatic foliage and nectar-rich blooms make it the perfect choice for attracting pollinators. Provide your Caryopteris shrub rich, neutral soil and full sun. 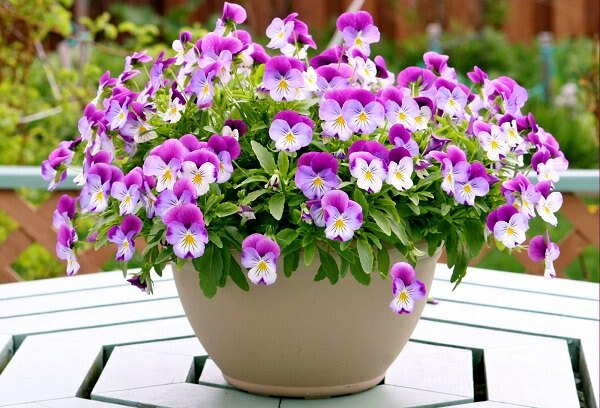 Pansies are no doubt the best container flowers. 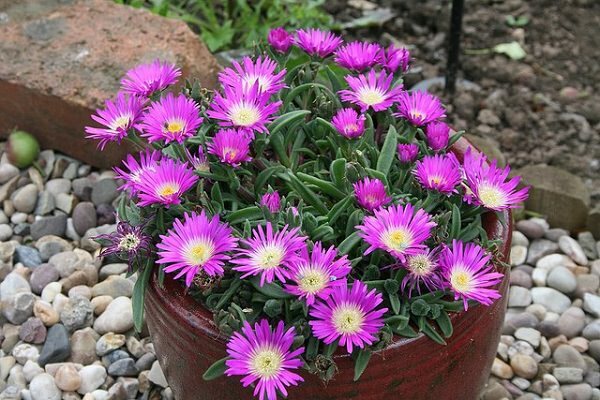 They’re super easy to grow, and in moderate climates, they bloom year round. From spring to fall and even in winters (in warm climates) you can grow pansies. Just like mums, asters respond to the shortened days of fall by giving a blanket of small daisylike blooms. Since they are colorful and full of nectar, they bring bees, butterflies, and color to your garden till late autumn and even winters in frost-free zones when most of your summer blooms have faded off. 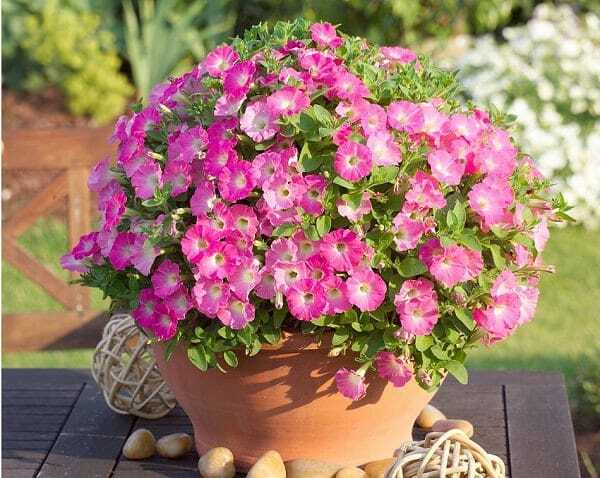 Small and showy petunia-like flowers and a diverse array of color options make Million Bells a must-have for any container garden. This prolific bloomer starts to flower from summer and continue this in fall. In tropics, it blooms in winter! 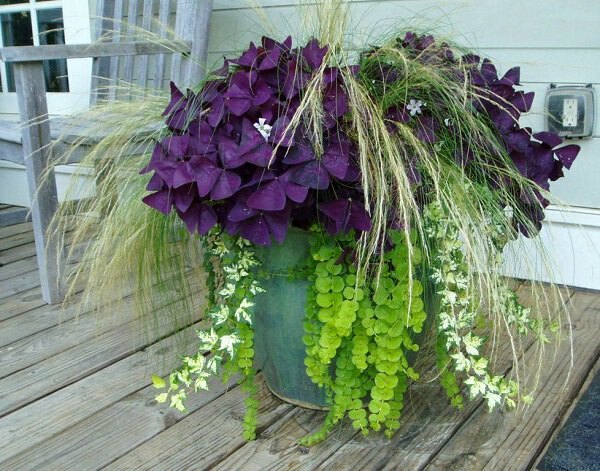 It’s often grown in patio pots and hanging baskets to enhance curb appeal. 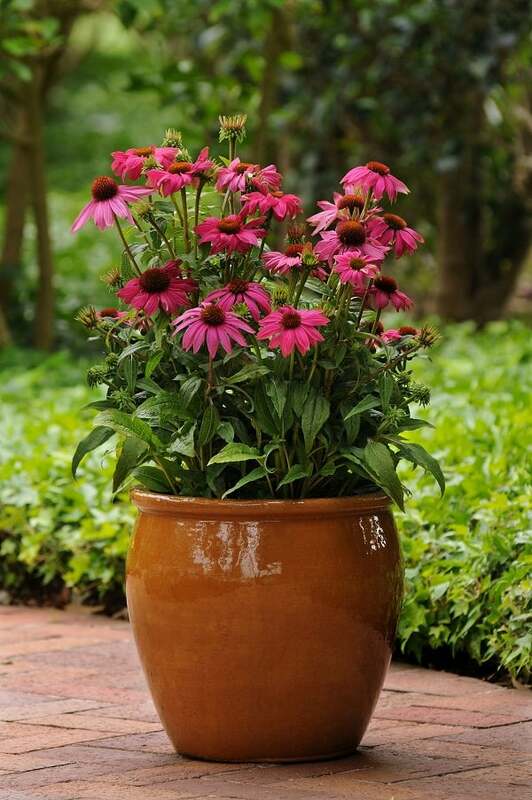 Coneflower features daisylike blooms with raised centers, available in bright colors that remind you of the autumn sky during sunset. 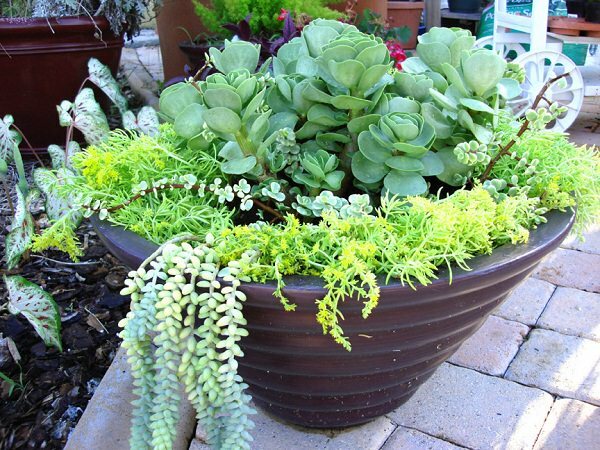 Choose a small to medium-sized pot depending on the cultivar. Keep the plant in full sun, growing in loose, well-drained soil. The Oxalis Triangularis is an elegant mounding plant, a great choice for filling a container. The beautiful inconspicuous pink flowers start to appear from summer and continue in the autumn. It’s exceedingly easy to grow, requiring no more than partial shade and surviving in a variety of zones, both outdoors or indoors. In cooler zones, you can always bring it inside to overwinter. 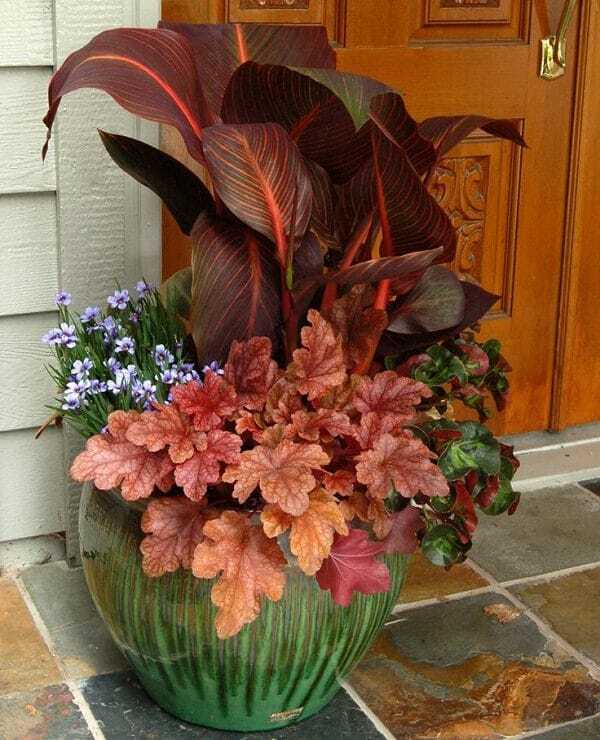 Coral bells make a dramatic statement in the container garden with their interesting leaf textures and mind-blowing spectrum of colors. They are happy in the shade but tolerate sun in cool climates. Not only in fall but heuchera provides year-round foliage interest. 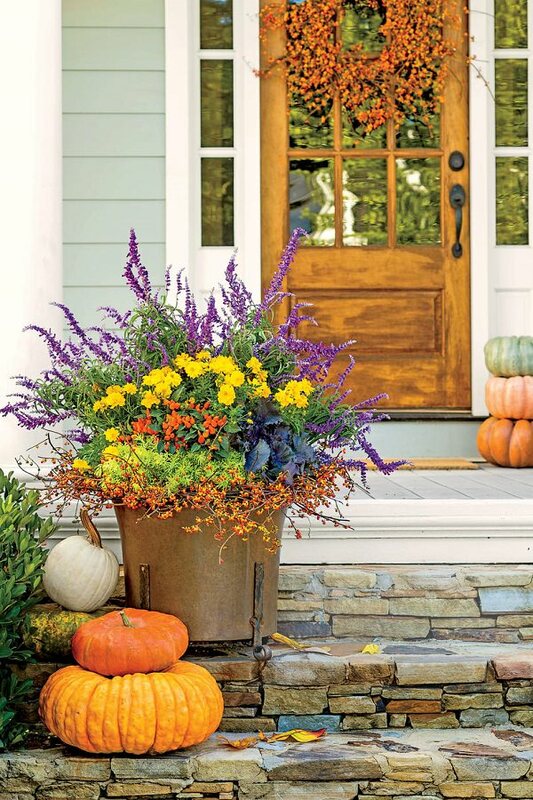 Pair this plant with other fall plants for a fabulous fall container garden display! 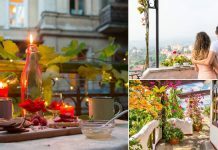 I believe these are unique flowers and plants that are grown on balcony garden. Thank you for photographs.